Fishbone diagram software for mac can easily create professional-looking fishbone diagrams on OS X 10.2 and later. Use our fishbone diagram to easily identify possible reasons of a problem and sort ideas into categories. 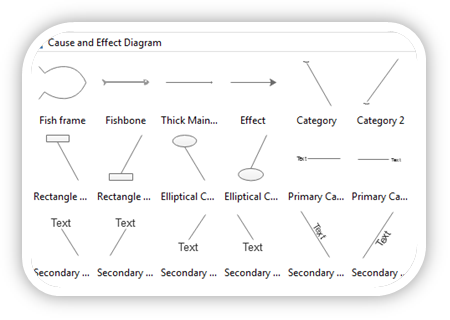 Find an easy way to create fishbone diagram with this easy-to-use fishbone desktop diagram software for Mac. Lots of pre-made fishbone diagram symbols and templates are provided which make the drawing process extremely fast. 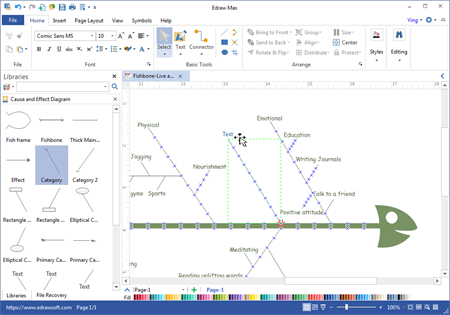 It's a great fishbone diagram replacement for Microsoft Visio with a much cheaper price. Fishbone diagram doesn't need lots of symbols to get done. However, it does require smart and adjustable symbols to fit for custom contents. Edraw has made the fishbone symbols very flexible to use. All the spine and branch symbols have equipped with equally spaced connection points for neat layout of the diagram; and the "causes" symbols could be moved to any direction while keeping the other end stuck to the spine. 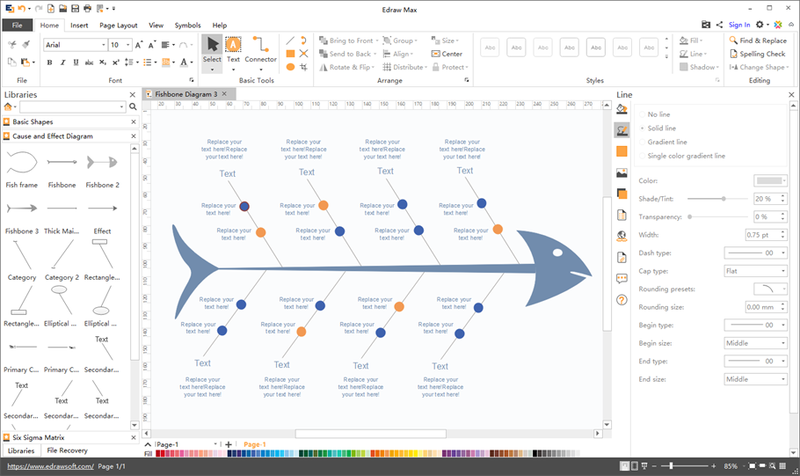 Edraw creates fishbone diagram based on the drag and drop function, which means you have very few to do on your own. It has included all necessary symbols together with ready-made templates that help you get started right away. Snap-and-glue is allowed when connecting the branches with the spine. When finished, through a simple button click on the top left corner, you can export the diagram to a desired format. If you need ready-made fishbone examples to get inspirations, Edraw gets you a lot. There are two places you can get fishbone diagram examples: right in the software or on Fishbone Example Sharing Community of our official website. All examples are well-created based on real cases. Besides, if you want to save time and begin fast, building your diagram upon the examples is also a nice choice. 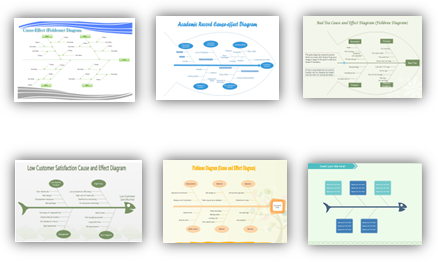 Besides fishbone diagram, there are a lot more business diagrams available in the program with their own symbols and templates. To learn other business diagrams, click the images below. Your Ultimate Mac Fishbone Diagramming Software! 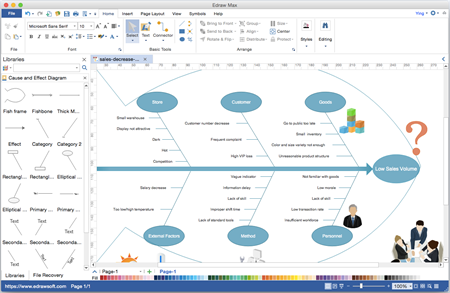 Enjoy creating Fishbone Diagram on Mac with this easy-to-use software. You'll be surprised by its smart symbols and templates, amazed on how fast it works, and satisfied with the service and price. Try it today!